Reminder: July 2016 Meeting this Thursday! • Pulse Quilt Blocks: If you have signed up to make a block or blocks for the Pulse Quilts, they are due at this meeting. Please hand them in at the Check-In table and highlight your name on the Pulse Quilt Block sign up sheet. 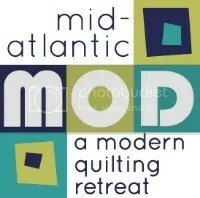 • Do you have a quick quilting/sewing related tip to share with our group? If so, please come prepared to talk about it at our meeting. • Member Corner: Many of our members have their own creative businesses and services to offer. There will be a table at each meeting designated for members to leave their business cards, class/workshop lists, postcards, etc. This is a great way to get the word out about what you have to offer! • Please bring your name tag to the meeting. If you do not have a name tag, we can arrange a partner swap- please see any one of the NJMQG Executive Board Officers (Daniela, Amy, Annette, Kourtney, or Stella). As always, please bring anything you may have for Show and Tell!